This fantastic compilation brings together some of the greatest clazzics on HOLINESS in Christian life and ministry. Learn the secret of walking in God’s presence and power from those whose writings have stirred and challenged countless Christians throughout history. • Purity of Heart – by William Booth (1902), 10 chapters. 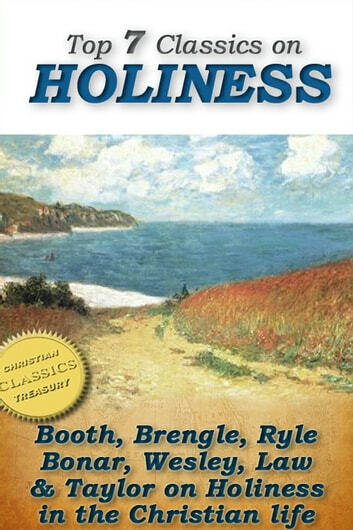 • Heart Talks on Holiness – by Samuel Logan Brengle (1897), 27 chapters. • Holiness: Its Nature, Hindrances, Difficulties, and Roots - by J. C. Ryle (1879), 21 chapters. • God’s Way of Holiness – by Horatius Bonar (1864), 9 chapters. • A Plain Account of Christian Perfection – by John Wesley (1777), entire book. • A Serious Call to a Devout and Holy Life – by William Law (1729), 24 chapters. • The Rules and Exercises of Holy Living – by Jeremy Taylor (1650), 27 sections. The Question: What Is An Arminian? Answered.